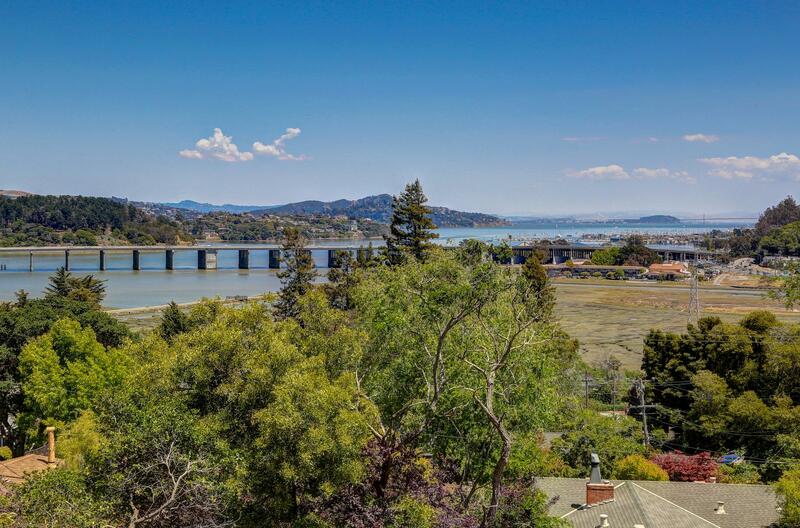 Rare development opportunity in Mill Valley! 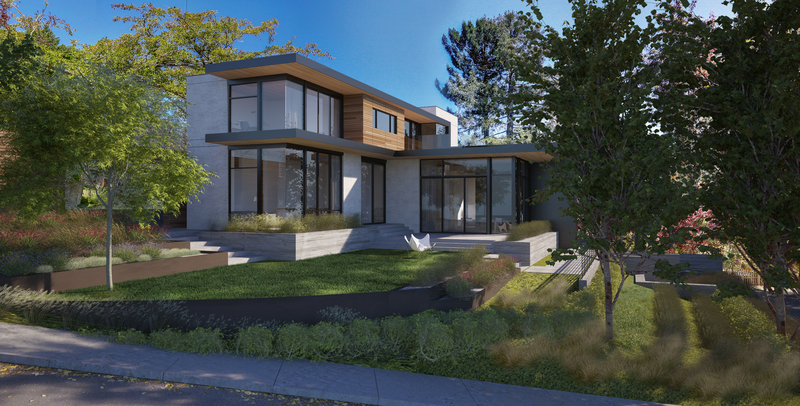 This spacious and gently sloping corner parcel includes fully approved plans for a spectacular new 4 Bedroom, 4.5 Bath modern home designed by Hood Thomas Architects. 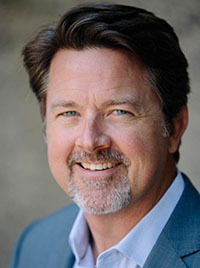 Save yourself the effort of finding a suitable lot, designing a home and then navigating the arduous approval process. Simply plug right in and begin your project. 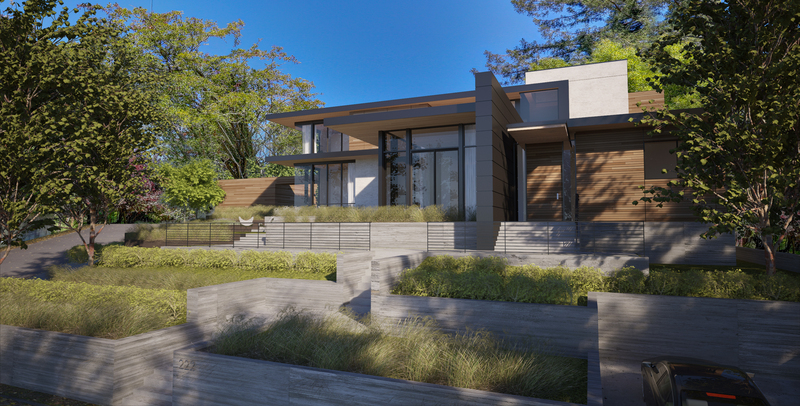 Visualize a stunning modern residence with clean lines and a sunny open floor plan that flows easily out to large patios and level lawn areas. 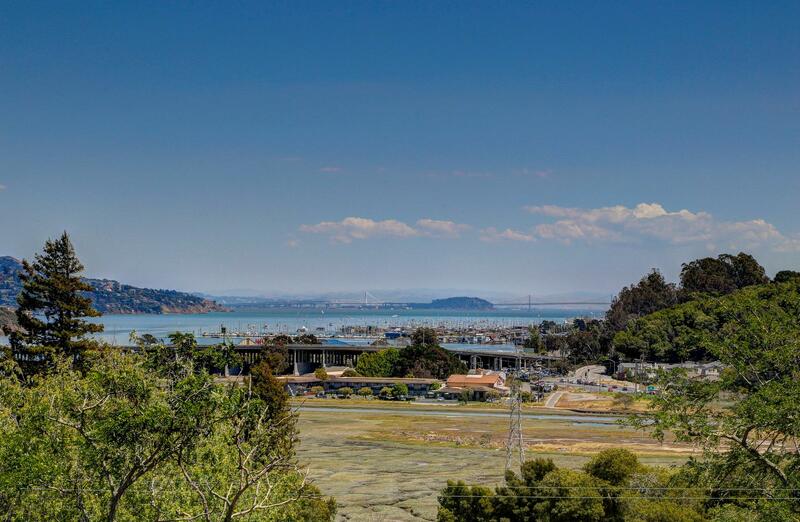 Views of the Bay, Angel Island and the Bay Bridge will be featured through tall walls of glass. Twelve-foot ceilings in the main living room provide a rare scale integrating the outdoors with interior spaces. 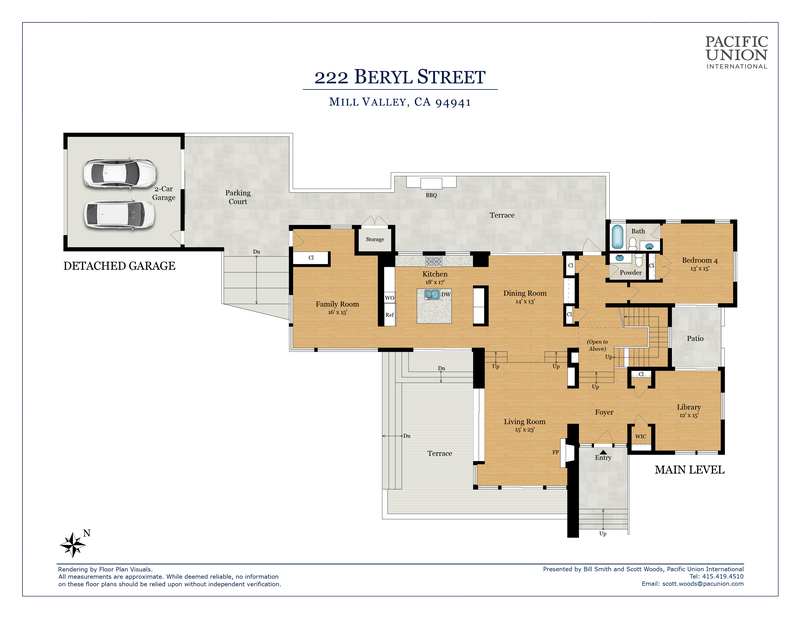 The main level includes a roomy kitchen with adjoining family room, formal dining room, spacious living room, a study and an en-suite bedroom. 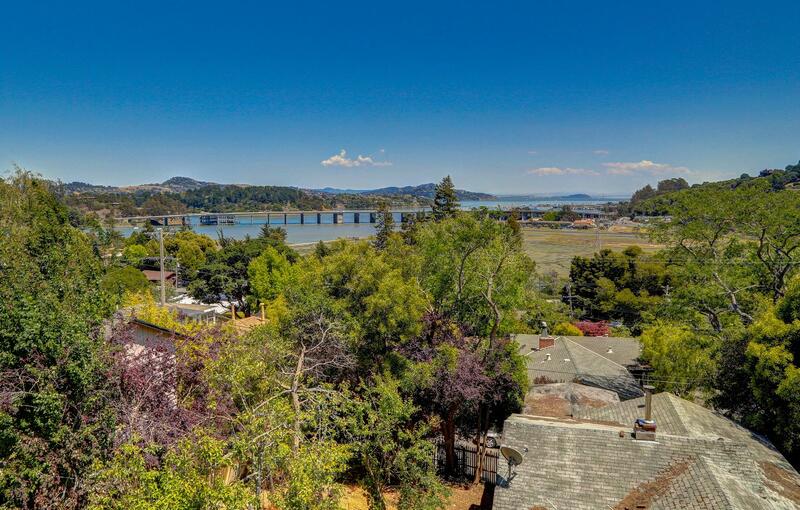 At the upper portion of the lot is the two-car drive-though garage and private motor court that provides ample parking with easy load-in to the kitchen and main floor areas. 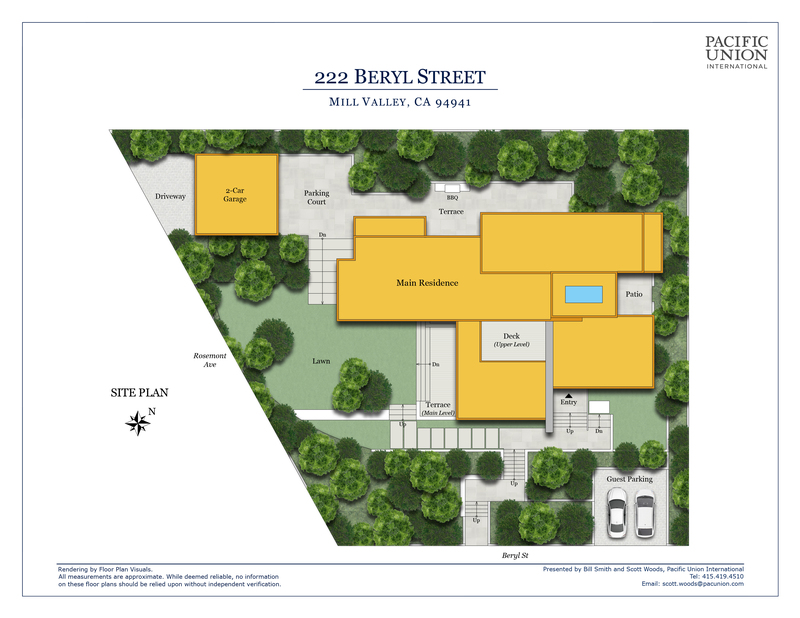 There are two additional off-street spaces for guests below the house off of Beryl St. The upper level includes a generous master suite complete with dressing room and a spa-inspired bathroom. Two additional en-suite bedrooms are just down the hall. A hallway sitting area opens up onto a large rooftop view deck. The landscape plan for this property is exquisite. 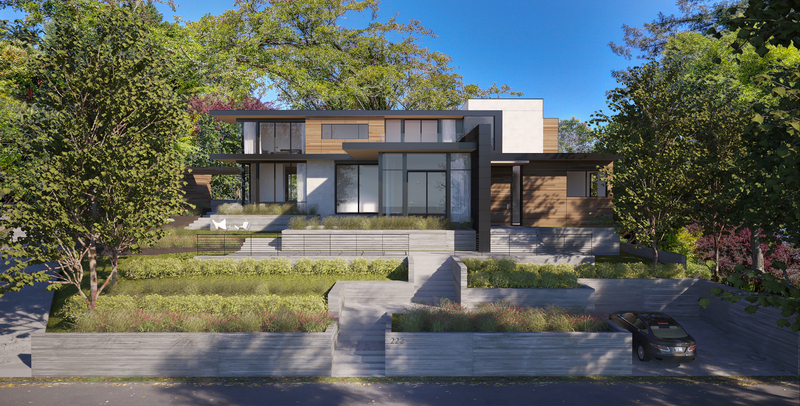 This thoughtful Bradanini design calls for lush gardens, spacious patios, a level lawn, mature trees, attractive accent plants and hedges all accentuating the gently cascading terraces. 13,535 sq.ft. corner lot (per survey). Rare large lot with wide street frontage. High ceilings throughout with large view windows. 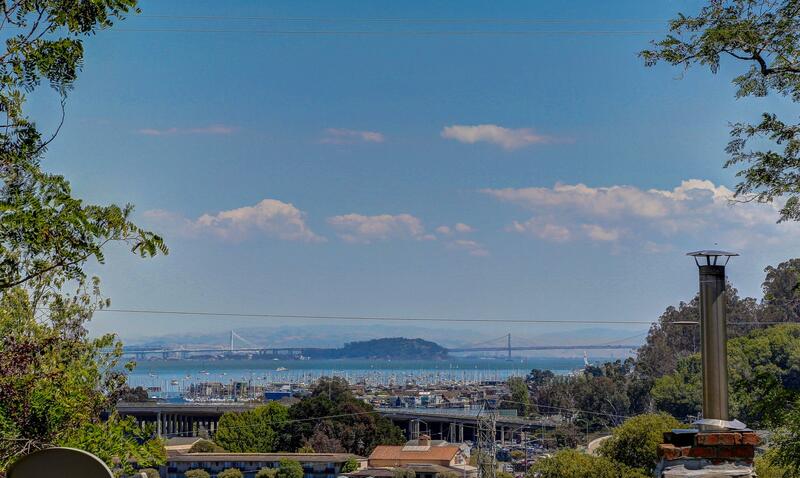 Views of the Bay include the Bay Bridge. Main entrance is accessed off of Beryl St.
Daily entrance and garage access is located at top of property off of Rosemont Ave.
Off-street parking for up to 8 cars. Incredible landscape plan with patios, flat yard area and lush gardens. Existing structure is not livable and is slated for removal. 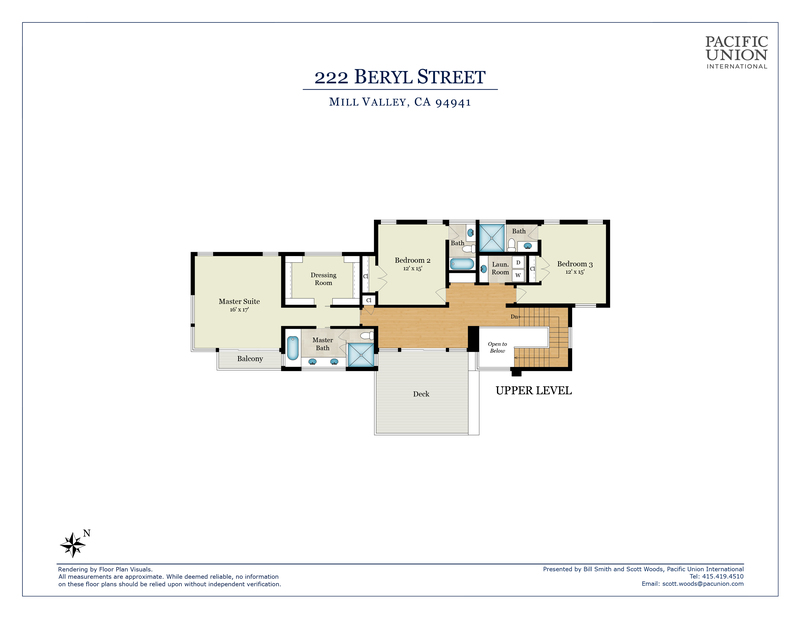 Excellent location with easy access to highway 101, San Francisco, Highway 1, Tam Junction and downtown Mill Valley.